Earlier this year we’ve reported a new feature in Google Analytics: Shop Visits. Similar to Google Ads, you can see how much your campaigns attributed to footfall in your stores. You can use the data for shop visits to further enhance your omni-channel strategy. Knowing which campaigns drive more offline traffic into your stores allows you to optimise these campaigns or even the channel as a whole. No longer do your campaigns need to drive profitable online ROI if you know the attribution to the offline revenue is far greater. 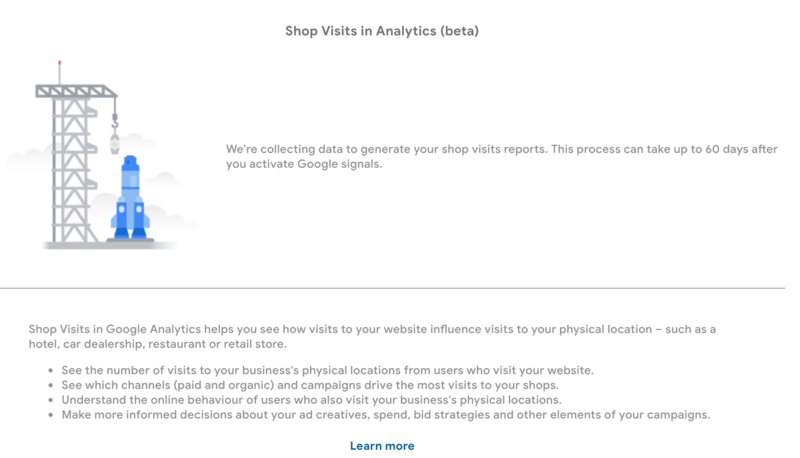 Google Analytics is rolling out this feature in the coming weeks for shops that have a Google my Business account and shops that already have Store Visits in Google Ads. It can take up to 60 days after getting access to the beta before data might show up.